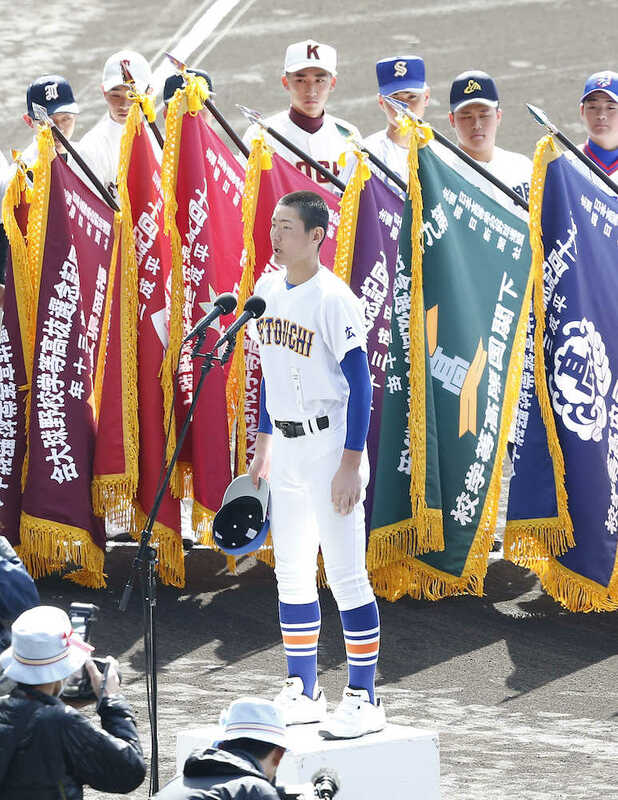 The 90th National High School Baseball Invitational Tournament got underway on March 23, 2018 at the Hanshin Koshien Stadium in Nishinomiya, Hyogo Prefecture, which started in 1924, with a break during the World War II, and restarted in 1947 after the War. For thie year’s tournament, the winner of 2017 Meiji Jingu National Championship and 3 additional high schools in commemoration of the 90th anniversary are invited making the total of total of 36 teams which will play knockout competion for 13 days inclding a day of recess. For the first time, a tiebreaker system will be introduced this year. When the scores are tied at the end of 12th inning and the 13th inning will start with runners on first and second with no out, batting orders remain unchanged. The final game of the tournament, however, will be played till 15th inning when a rematch with a tiebreaker will be called. The number of high school baseball clubs in 2017 academic year stood at 2,989 across Japan with 161,500 members, recovering from a range of 140,000 in the 1990s, when soccer was popular. The ratio of students who continue to play baseball from their first through third year of high school has also risen to about 90 percent, up from a level in the 70 percent range 20 years ago.